Flood control project designed to protect against floodwater for a North Drumheller subdivision located along the north side of the Red Deer River and east of Michichi Creek. 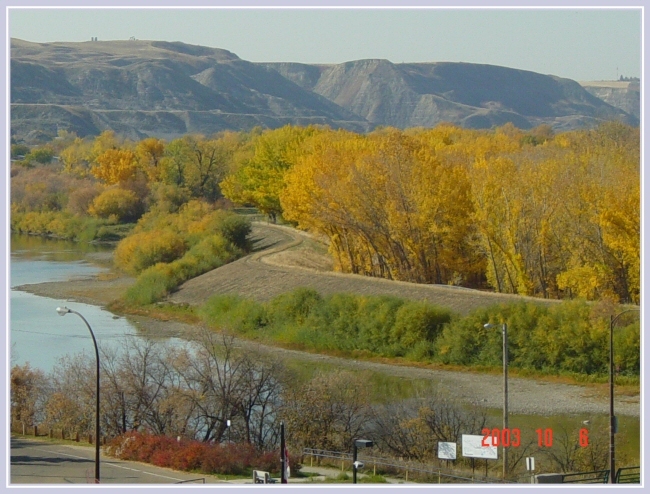 The project included approximately 1 km of earth dyke 200 m of straightening/relocating of the Michichi Creek, two cast-in-place concrete cross-drain structures, concrete storm sewer including three pre-cast concrete manholes, Class I and Class II rip rap erosion protection on the slopes of the Michichi Creek and Red Deer River. 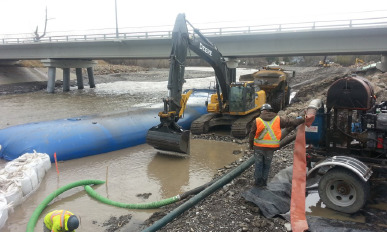 Flood and erosion control project, involving a 1.0 km flood protection berm complete with riprap erosion protection along the Sheep River for the Turner Valley Gas Plant Site. 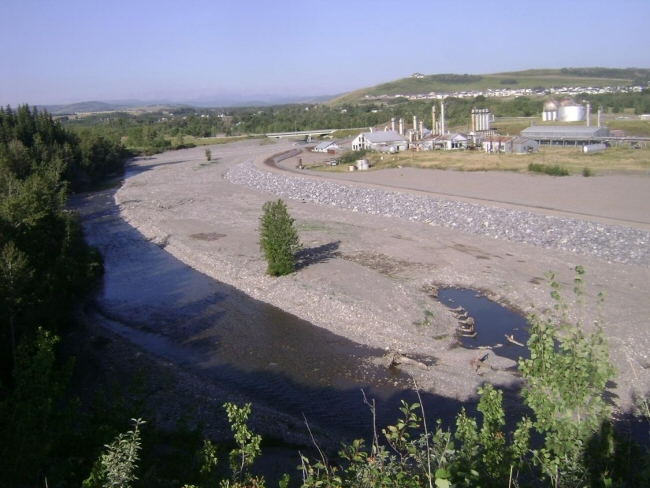 Includes river isolation, and aquatic mitigation work.